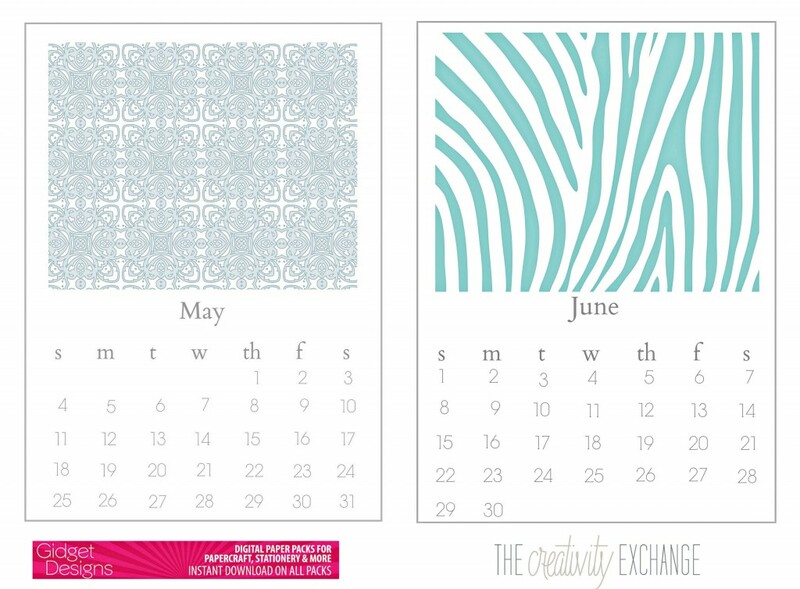 Free Printable 2014 Chic Desktop Calendar.. I hope you guys have all had a wonderful and Merry Christmas!! I am really excited about today’s post and had hoped to have it posted before the holiday as my gift to all of you but time got away from me. It’s still Christmas week, right? 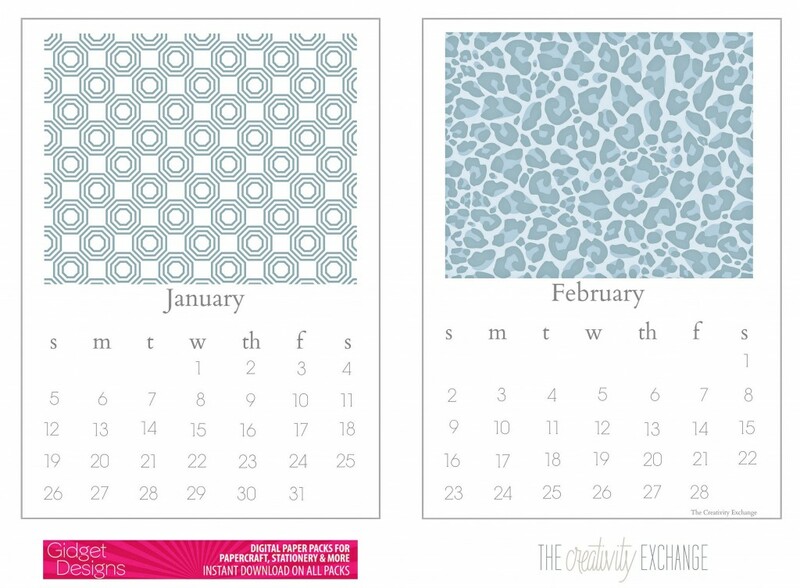 What I am most excited about with this pretty 5 x 7 desktop calendar is that I am collaborating with Hannah from the fabulous Etsy shop Gidget Designs to bring this printable calendar set to you. 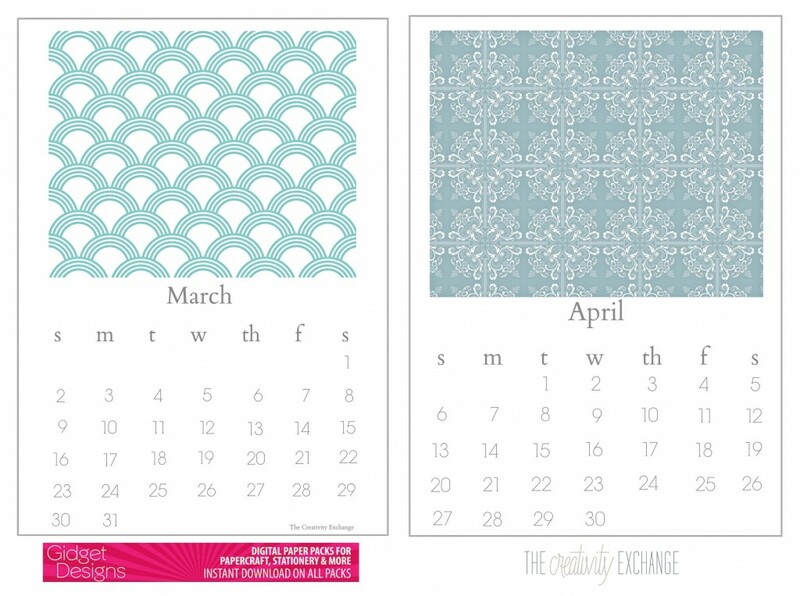 Without Hannah, I would not have the gorgeous designs and patterns to work with for each month. 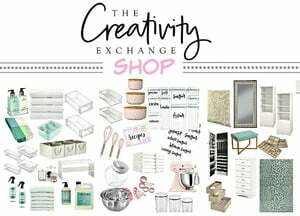 I searched Etsy for the prettiest digital scrapbook/stationary papers and designs and everything I loved always led me back to Gidget Designs. I reached out to Hannah and we were like long lost printable friends. You will need to have Adobe Reader to be able to print these and if you do not have Adobe installed on your computer, you can download it here for free. To print these, all you need to do is to print out on 8.5 x 11 standard white card stock (I prefer smooth without linen lines) and cut each month out. 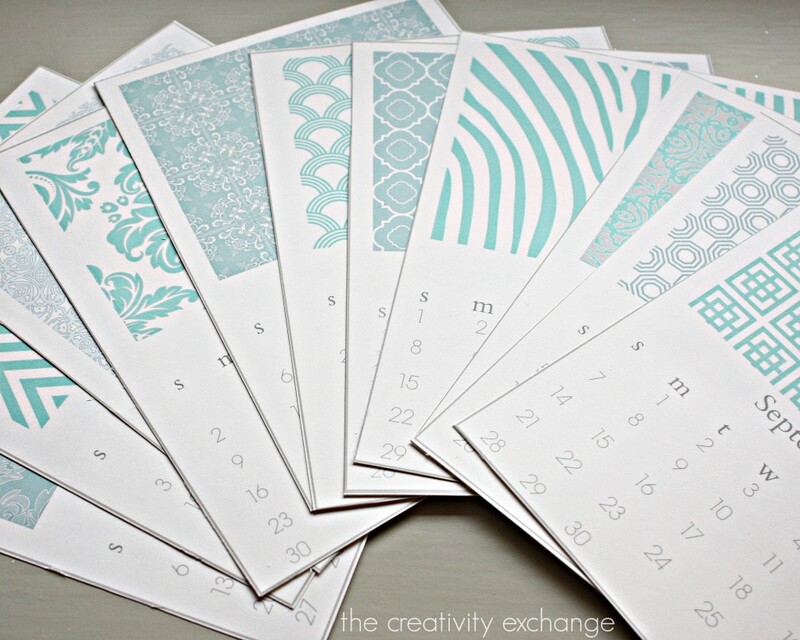 There are a total of six printable pages that have two months on each page. 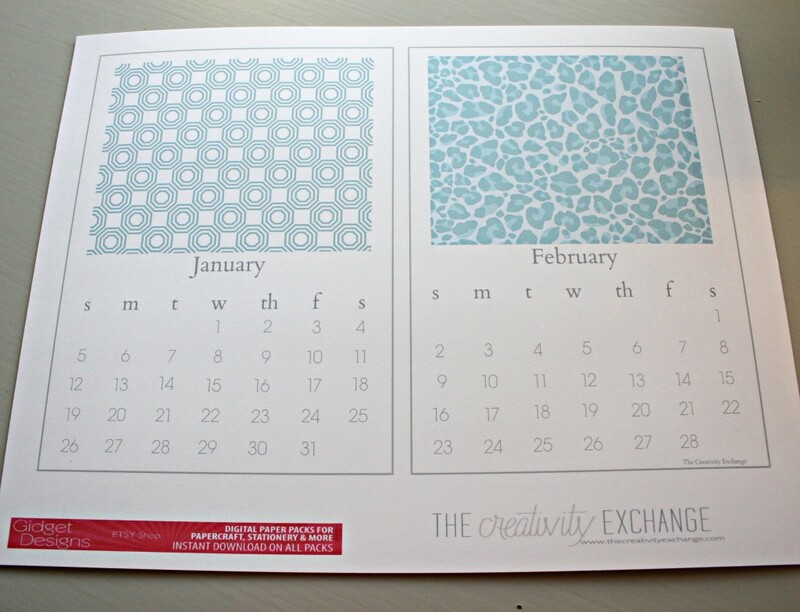 Each month measures exactly 5 x 7 when you cut right at the outside gray border. To get the best possible quality and color on these printables, be sure and test to make sure that you have plenty of ink. As a reminder, these printables are for personal use only and are not for resale (I can’t even believe I have to say that but it happens). 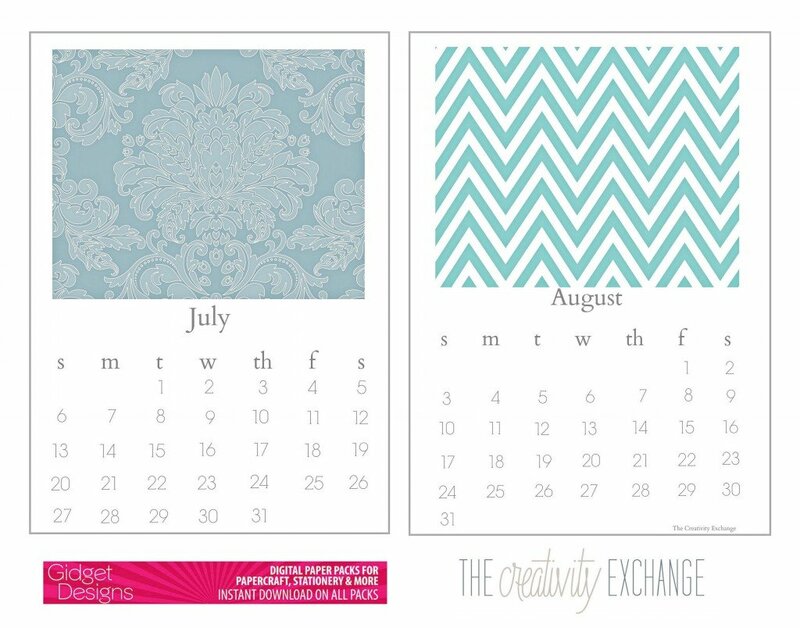 Feel free to share, pin or link to our calendar and share an image or two on your own blog. But again, but please do not copy or reproduce in any way. A super big thank you again to Hannah from Gidget Designs for sharing her designs with us and please, please stop by and check out Gidget Designs on Etsy if you are looking for digital paper for your papercrafts, stationary or blog designs. Hopefully, Hannah will want to collaborate again in the future with us! Thank you for stopping by today friends and I hope you guys love the calendars and can use them! I’ll be back on Monday and hopefully back into my regular blogging routine. Thank you Lauren! So glad that you like them! Happy New Year!! Beautiful! Love the designs and colors! Thanks! Thanks! What a great calendar! Thank-you so much. 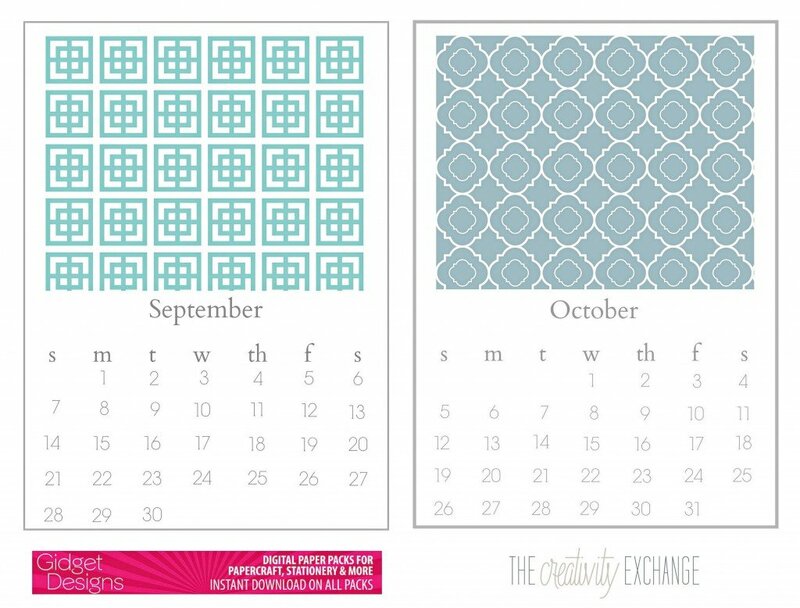 this calender is perfect for me and my home, the colours, the patterns, the font, thanks! You are so amazing, creative & kind! Thanks for all the wonderful posts and items you share! I am so glad I found you; to follow here on Pinterest! Thanks Cyndy! 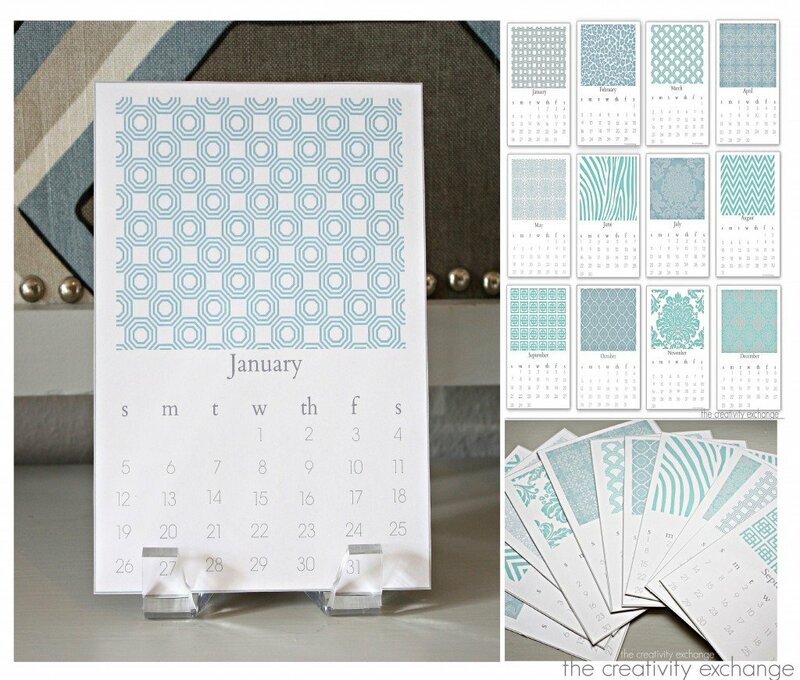 So happy to have this fun calendar set for 2014. A big thank you to Hannah as well. Happy New Year! this is awesome! thanks so much for your generosity. Love the calendar! Thanks so much! 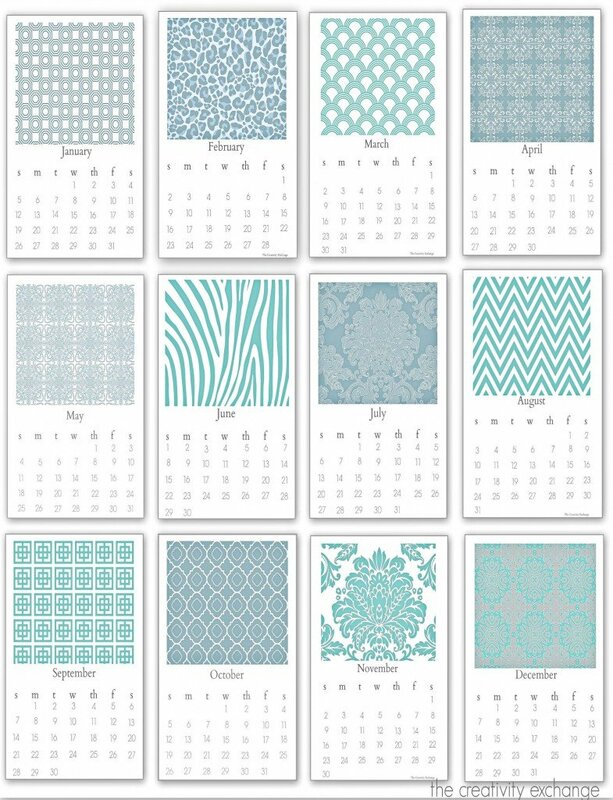 This is my FAVE blue in stunning patterns! It’s perfect for my den and atop my classroom desk. Thx for creating this for others! Glad I found you!!! Hi, Will you please do this for 2015? Thank you! 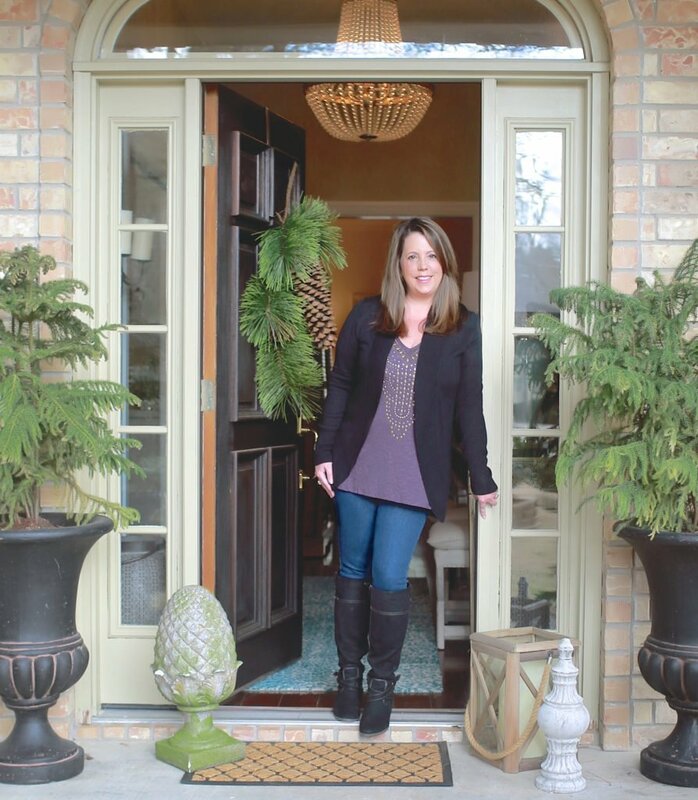 Please repeat for 2015…..it’s fabulous! 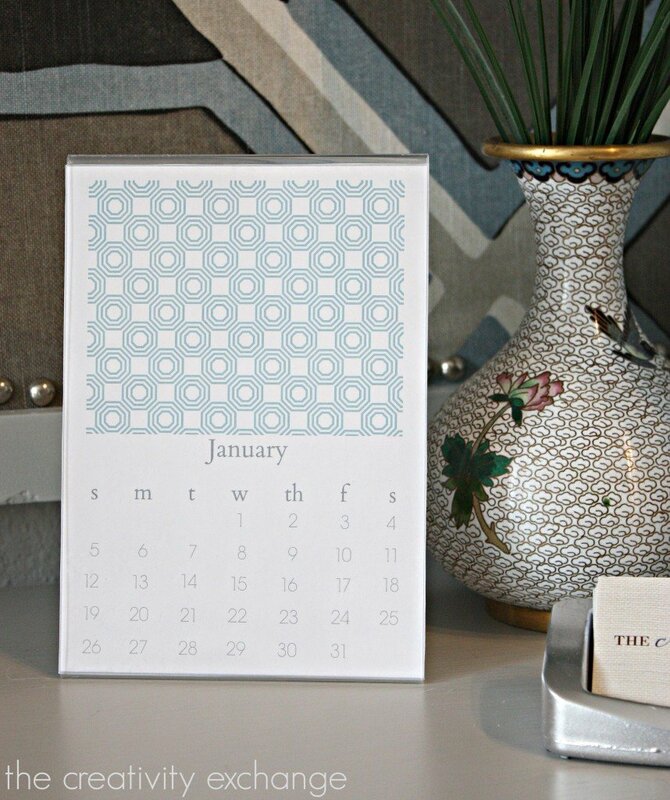 Cindy, I LOVE, LOVE, LOVE this calendar and have been using it all year. 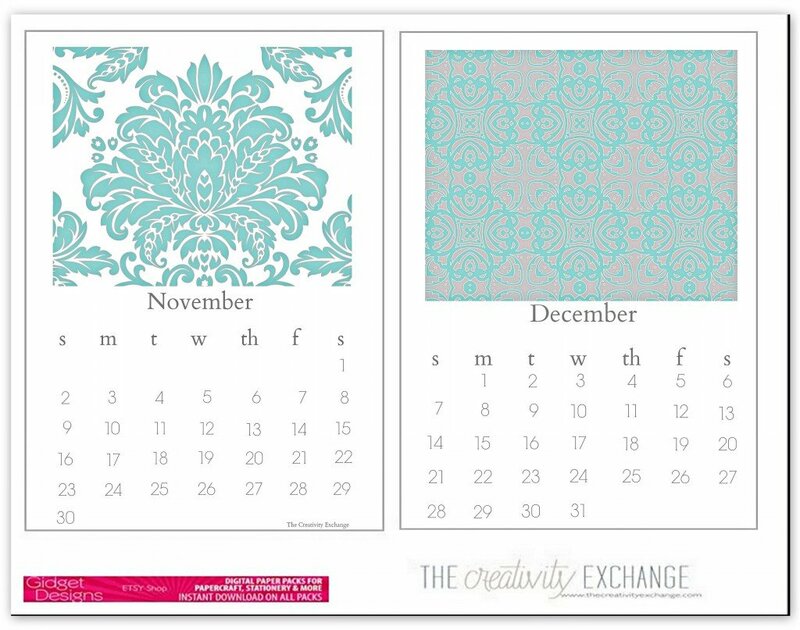 I especially love the color scheme and hoping you will be doing one for 2015. I’m sorry if I send 2 msgs! 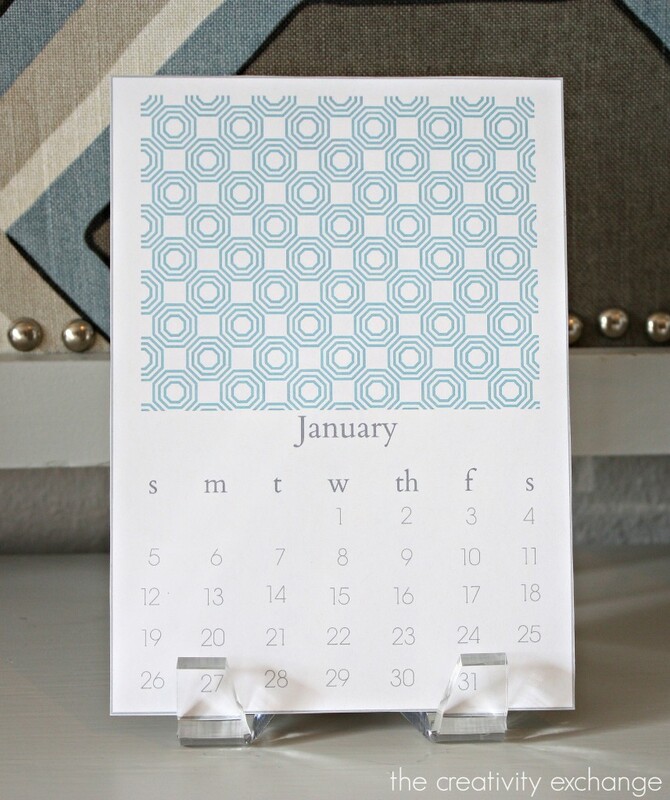 I just want to tell you how I have loved this desktop calendar and am hoping you will make it again for 2015!! Same colors too:) I didn’t find your blog until well into 2014, but I have enjoyed it for a few months now. Thank you kindly for sharing! I would LOVE this repeated for 2015 as well. The colors are perfect for my office and I’ve thoroughly enjoyed it all year long! Where can we find the stylish acrylic stand? Thanks!